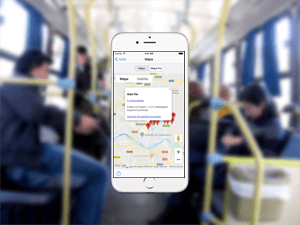 As companies do not provide them, we've created an algorythm that gives you the ETA* for your bus to your stop. It includes no ads. It improves constantly. And all for less than three rides. * As every estimation, reliability may vary. Beta feature. 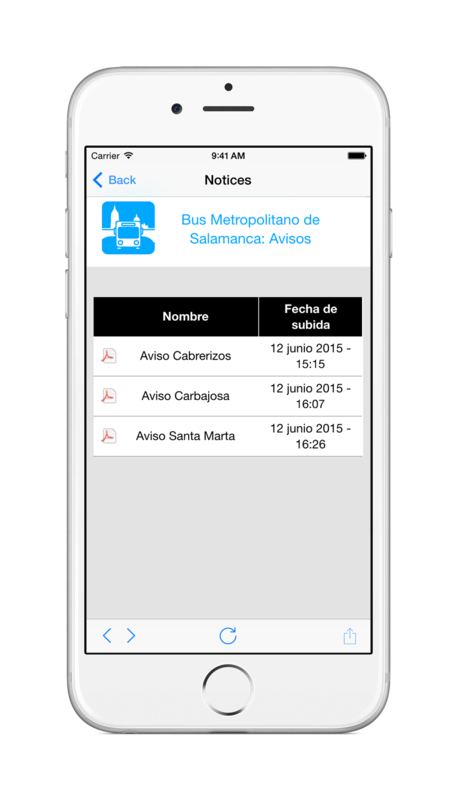 Introducing the app you have been waiting for the Metropolitan Bus of Salamanca. 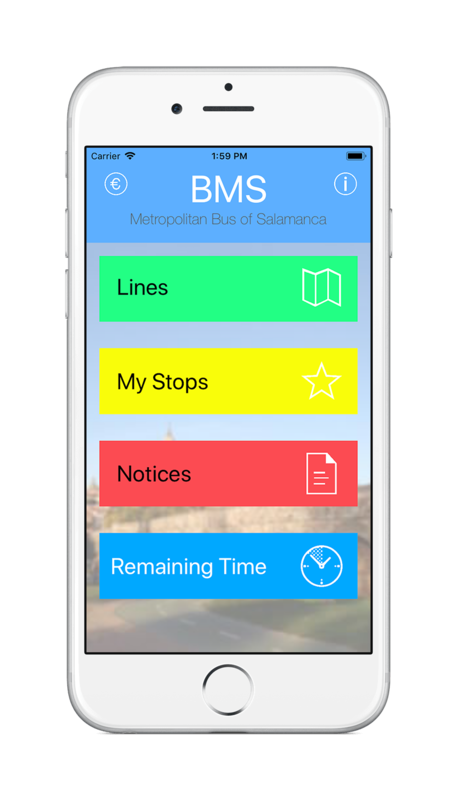 With BMS you will have all the information instantly on your pocket: ETA, timetables, stops, notices of the services and more. Welcome to the new way to get around by bus. Nothing is gonna stop you.  Look up timetables, stops and maps with or without connection. Save your usual stops as favourites and have always on hand its information. Find out about the lines that go through them, be always informed about the changes that maybe happen and don't be late again. Have to get in the bus to see the stuck to the windows' notices is a thing of the past. 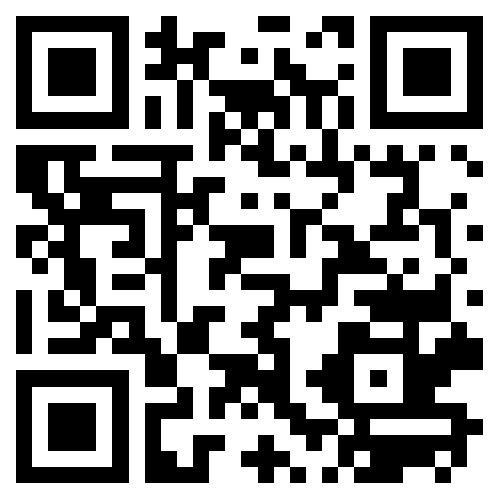 Know the last news about your line published by the managing company, Autobuses Salmantinos. With the new feature Improve this area you will be able to tell us what you miss around you. 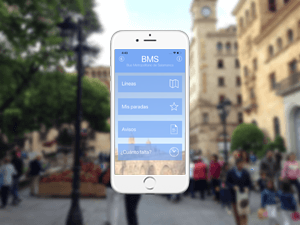 All answers are anonymous and will be included in the BMS' Market Research we deliver to enterpreneurs and city halls to improve Salamanca and its province. Your area changes with BMS. 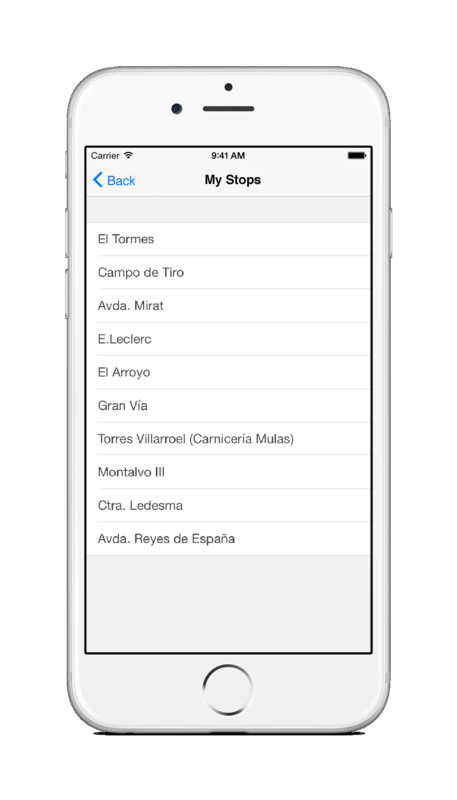 Enjoy the only way to know the ETA for 12 lines and 213 stops for the metropolitan bus of Salamanca. 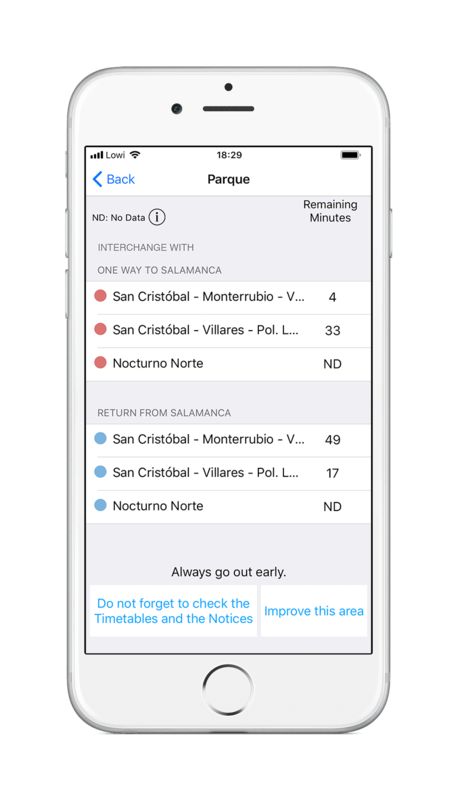 Set one or various of your usual stops as favourite and have quickly all its data. 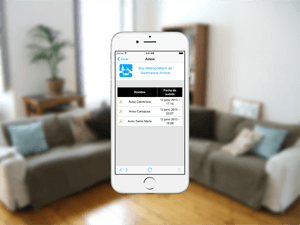 "I am delighted with BMS, at least I have on my smartphone an app really useful.  Its notices' function it's incredible!" How do you want to download BMS? 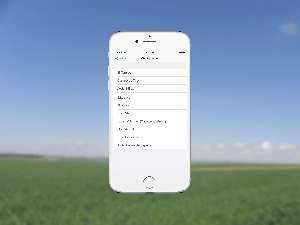 - Purpose: Answer the questions submited by the user through the contact form. - Recipients: No data will be transferred to third parties, except legal requirement. - Period of use: As specified in the terms and conditions of use.  - Rights: Access, rectification, deletion, consultation and portability, among others.